Adaferin Gel 0.1% Galderma | Generic Adapalene | Side Effects | Dosage. Adapalene gel 0.1% (Adaferin), is a retinoid, which is used for the topical treatment of acne vulgaris in patients 12 years of age and older. Adaferin is only absorbed into the body in very small amounts and has little effect, except on the surface of the skin. Adaferin gel is manufactured by Galderma India Pvt. Ltd. in the strengths of 0.1%. We also have in stock Generic Accutane Capsules (Isotroin) which is also used to treat the same indications. Marketed by Galderma India Ltd. The active ingredient present in Adaferin is adapalene, which has an anti-inflammatory effect reducing soreness and irritation. Each gram of Adaferin Gel, 0.1% contains 1 mg adapalene in an off-white aqueous gel. Generic Adapalene gel is a topical retinoid which is mainly used in the treatment of mild-moderate acne on the face, chest or back where the skin has lots of blackheads, spots and pimples. Adaferin Gel 0.1% is also used off-label to treat keratosis pilaris as well as other skin conditions. It is usually effective against acne conditions where comedones are predominant. Apply a thin film of Adaferin Gel to the entire affected areas of the skin once daily, after washing gently with a mild non-medicated soap. Always use Generic Adapalene Gel exactly as your doctor has told you. Check with your doctor or pharmacist if you are not sure. Adaferin gel is only intended for use in adults and adolescents aged 12 years and greater in age. Adaferin is applied at night before going to bed unless your doctor has told you otherwise. Don't forget to wash your hands afterward. The most frequently reported Adapalene Gel side effects occurring in 1% or more of the patients undergoing treatment with this medicine were dry skin, burning sensation of the skin, redness of the skin (erythema), skin discomfort, pruritus, desquamation, and sunburn. Adaferin Gel 0.1% may also cause the following side effects at the site of application which may affect up to 1 in 100 people. The other side effects whose frequency cannot be determined from the available data include allergic contact reaction, pain or swelling of the skin, skin irritation, application site pain, face edema, eyelid edema, lip swelling, redness and itching or swelling of the eyelids and angioedema. Adaferin gel is contraindicated patients with a hypersensitivity to Adapalene or any of the inactive ingredients present in Adaferin Gel. Store Adaferin Gel at controlled room temperature (68°F to 77°F, 20°C to 25°C) with excursions permitted 59°F to 86°F (15°C to 30°C). Protect from freezing. Do not refrigerate. Protect from light. Keep tube tightly closed and away from heat. Keep out of reach of children. Exposure to sunlight, including sunlamps, should be minimized during use of Adaferin Gel , 0.1%. Patients who normally experience high levels of sun exposure, and those with inherent sensitivity to sun, should be warned to exercise caution. Certain cutaneous signs and symptoms of treatment such as erythema, scaling, dryness, and stinging/burning were reported during use of Generic Adapalene Gel 0.1%. These side effects were most likely to occur during the first four weeks of treatment, were mostly mild to moderate in intensity, and usually lessened with continued use of the medicine. Reactions characterized by symptoms such as pruritus, face edema, eyelid edema, and lip swelling, requiring medical treatment have been observed during postmarketing use of Adapalene gel. Simultaneous use of topical acne therapy should be used with caution because a possible cumulative irritancy effect may occur, especially with the use of peeling, desquamating, or abrasive agents. Caution should be exercised in using preparation containing Sulfur, Resorcinol or Salicylic Acid in combination with Adaferin (Generic Adapalene Gel 0.1%). Adaferin gel 0.1% is intended for topical use only. In case the medication is applied excessively, no more faster or better results will be obtained and marked redness, scaling, or skin discomfort can occur. Adapalene has been classified by the US FDA as Pregnancy Category C. There are no well-controlled studies conducted in pregnant women treated with Adapalene Gel. Therefore, Adaferin Gel should be used during pregnancy only if the potential benefit justifies the potential risk to the fetus. If you become pregnant while using Gel, the treatment must be discontinued and you should inform your doctor as soon as possible for a further follow-up. It is not known whether Adapalene is excreted in human milk following use of Adapalene Gel. Because many drugs are excreted in human milk, caution should be exercised when Adapalene Gel is administered to a nursing woman. Do not use this medicine without telling your doctor if you are breast-feeding a baby. If you are pregnant or breast-feeding, or you think you could be pregnant or are planning to have a baby, ask your doctor or pharmacist for advice before using Adaferin Gel . You can buy Adapalene Gel 0.1% online from Clear Sky Pharmacy at a cheap price. Adaferin Gel 0.1% (Adapalene Gel), manufactured by Galderma India Pvt. Ltd. is supplied in a tube of 15 grams. 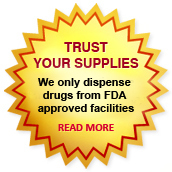 The 15 gm tube of Adaferin 0.1% costs only $11 per unit when you place an order for 10 tubes.